The black finish counter wire display is made from mild steel fabrication. Stabilizing includes levelers. 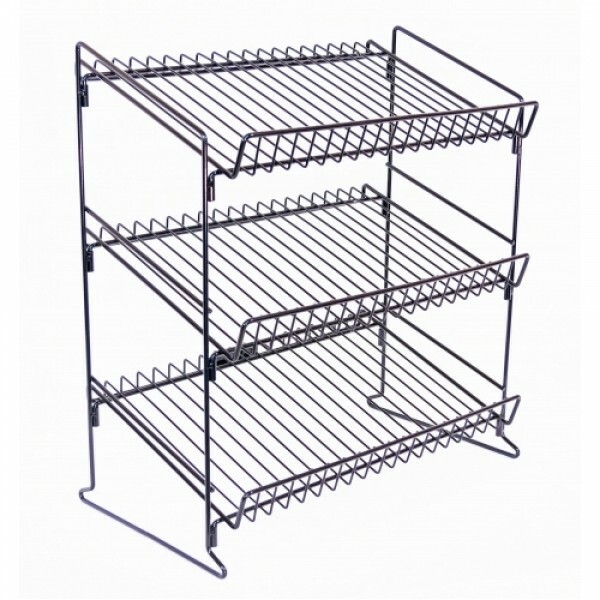 Open space wire shelves of size 20" is usable and durable.